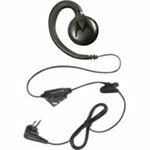 The Motorola DTR410 has been discontinued. No direct replacement is available. 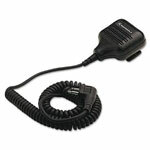 The Motorola DTR410 digital on-site two-way radio presents a better way for small businesses to communicate. It also offers enhanced performance with wide coverage, longer battery life and clear, crisp audio. Digital one-to-many calling networks with other DTR radios on the same group ID and channel, for enhanced compatibility.